Are you secretly holding onto items that you have no use for? You would be surprised how many people do too! 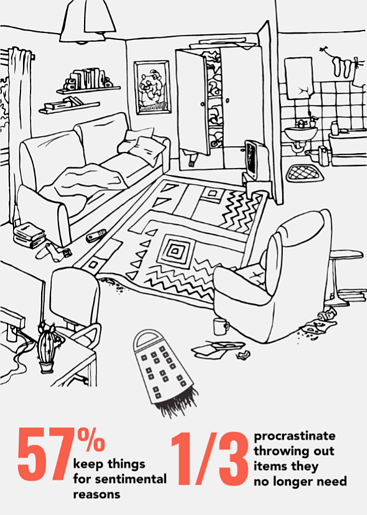 We recently surveyed 2,000 Americans to find out exactly why clutter is so hard to get rid of. 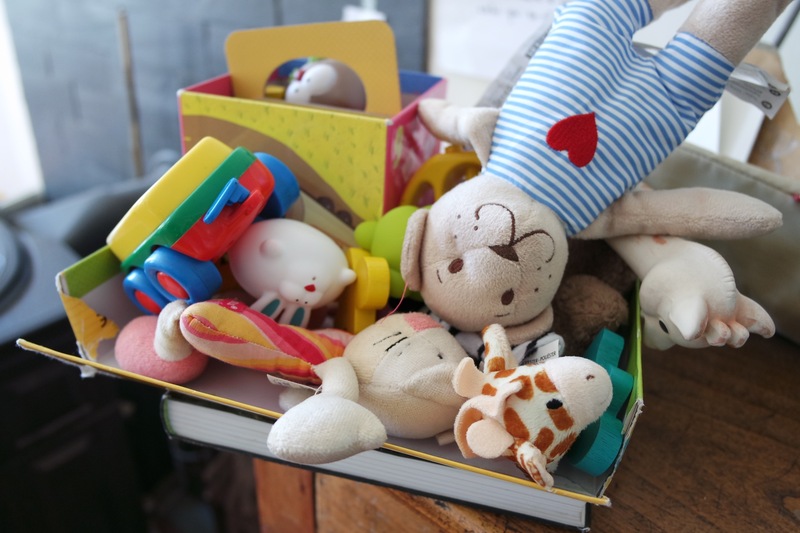 Over half of the individuals surveyed admitted they had a clutter issue with about 23 miscellaneous and unnecessary items in their home. The reason most people hold onto these items is because they believe they might need it in the future. Fifty-seven percent said they keep items for sentimental reasons, while a third simply procrastinate throwing things away. 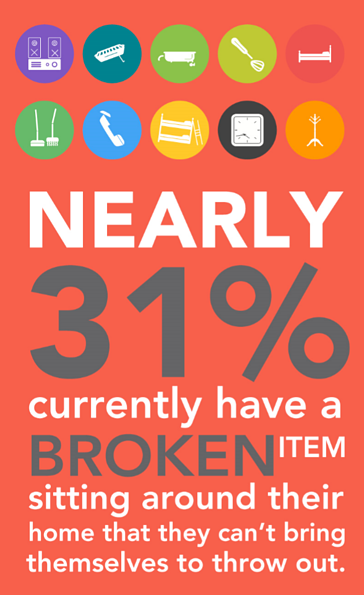 Of this clutter, a third of respondents said they have a broken item sitting around in their home! So where do we store most of this clutter? 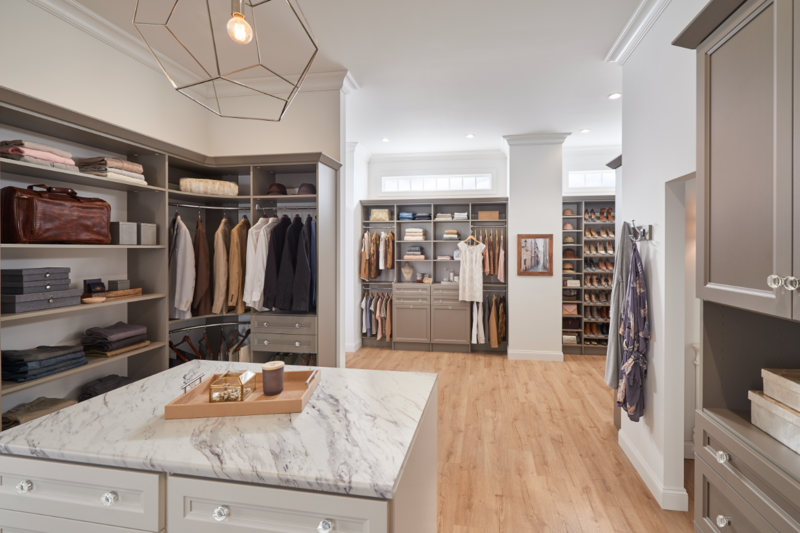 According to the survey, most people hide clutter in their bedrooms, although the living room and garage tend to act as an overflow for disorganization. 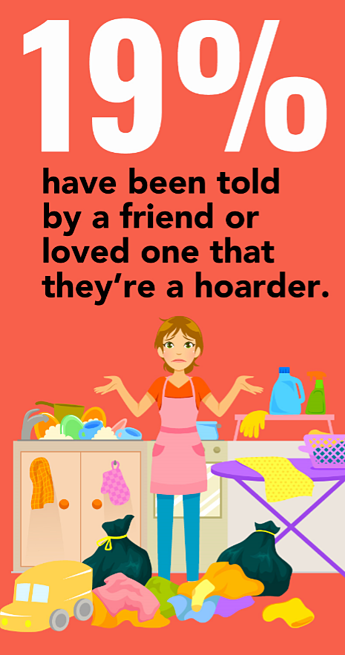 This behavior doesn’t go unnoticed with one in five reporting that they have been told by a friend or loved one that they’re a hoarder, and a third admit the mess of useless items has led to arguments. 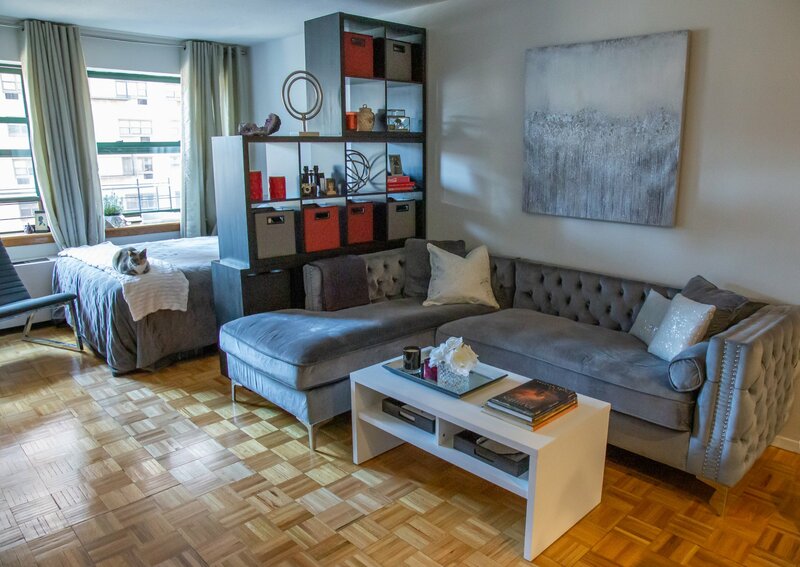 Additionally, 15 percent have gone so far as to convince their partner or roommate they would get rid of an item only to secretly keep and hide it. Most people do admit they’re responsible for the disorganization in their home, however 19 percent blame their children and spouse for the mess. No matter who is the sole clutter culprit, 48 percent of those surveyed admitted they experience panic, anxiety or stress because of their home’s clutter, especially when having guests. 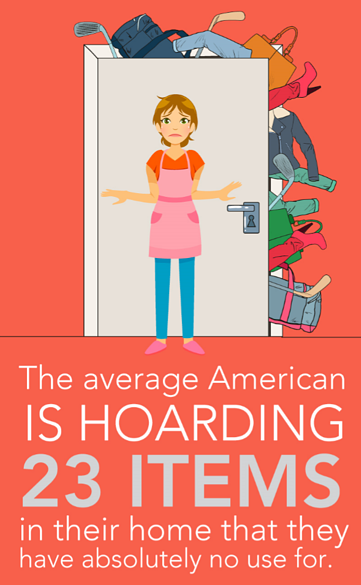 Clearly something needs to change as the average American thinks about decluttering their home six times each year, only to declutter three times a year. 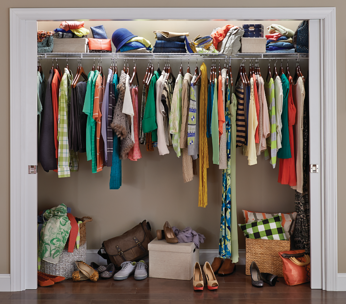 Organize your closet with a Closet Maximizer! 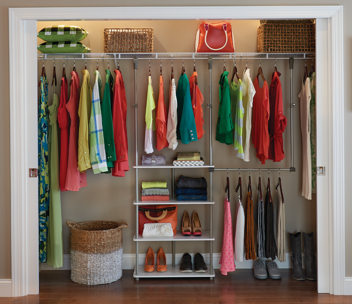 To start the new year off right, and get ahead of your clutter, visit ClosetMaid.com, and check out all of our other channels for more organization tips and inspiration: Facebook, Twitter, Instagram, Pinterest, YouTube, Houzz and Flickr. 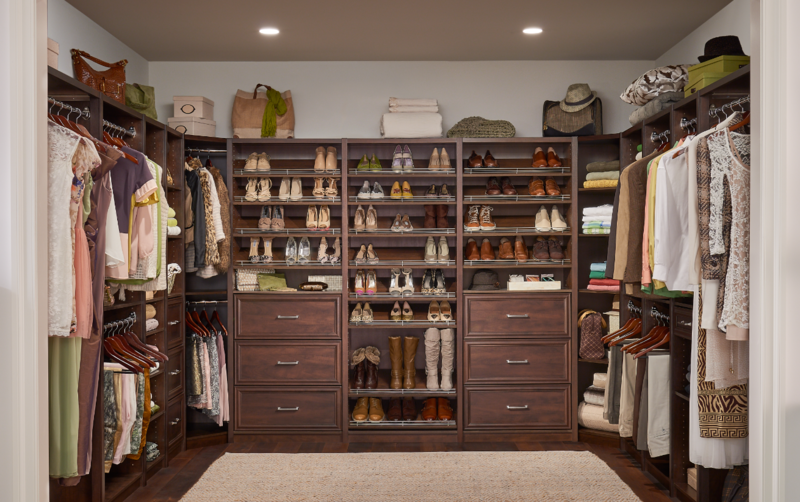 0 Comments on "Closet Clutter – Organization Survey Results"